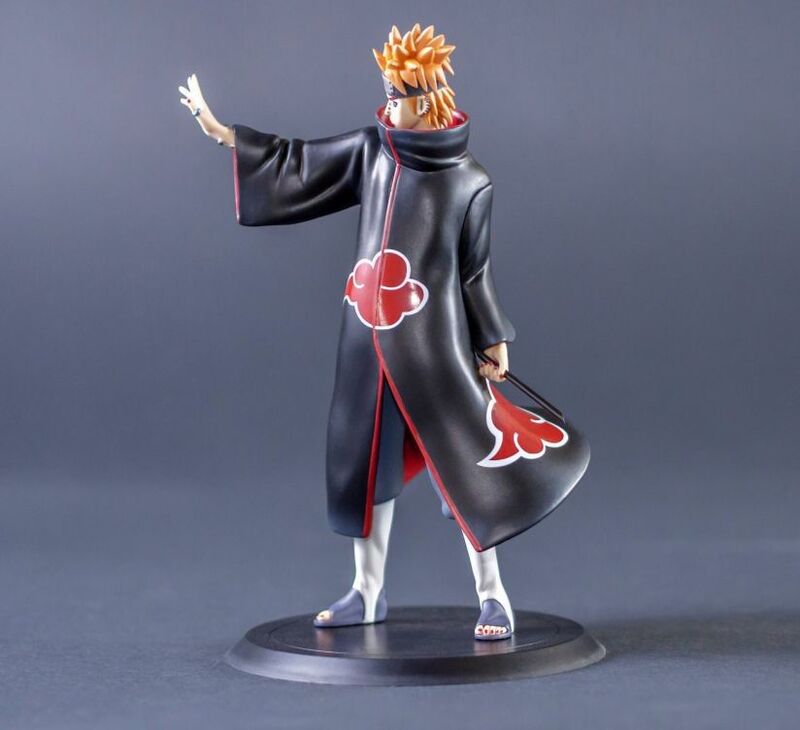 Only 200 pieces available on Tsume-art.com, all signed by artistic team. 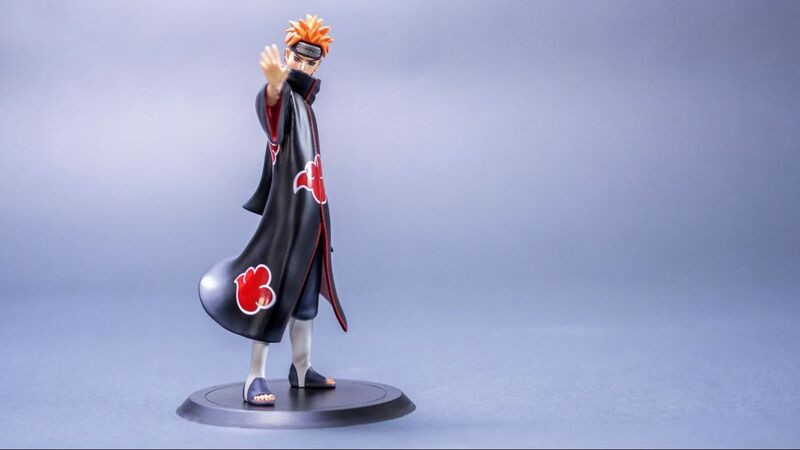 Pain, member of Akatsuki from the Naruto Shippuden franchise. X-tra by Tsume collection. One Pain figure, his base and his box. Pain is sculpted in his main body: Tendô. He is proudly standing, his arm fully stretched holding one of his Chakra Disruption Blades. His stolid face scattered with piercing shows his cold-blooded look with rinnegan is activated. The sculpt of the Pain figure, simple yet stunning does not lack details. The Akatsuki coats has its specific clouds which are stamped to be sure the rendering will be flawless. 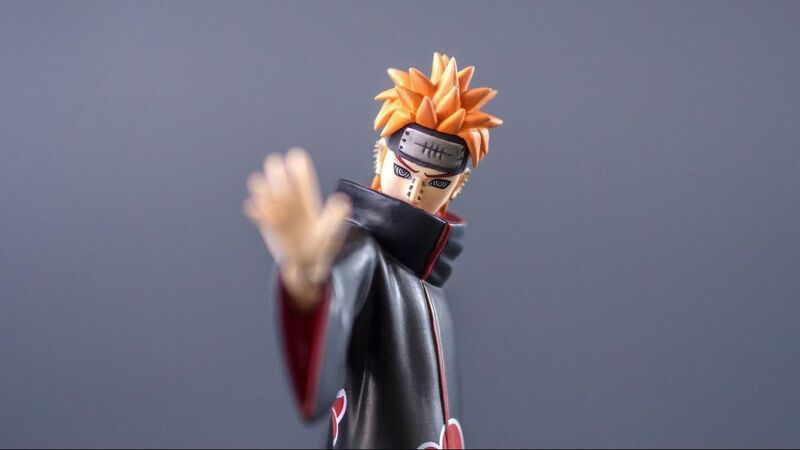 The sculpt of the face highlights the numerous piercings and the specific look of him, Rinnegan! By alterning glossy and mate, playing with textures or colors, this figure is a high end piece of work whichi will make the most demanding amateurs. Our biggest challenge with the X-tra by Tsume range was to create an affordable product yet keeping a very high level of sculpt.Thus, Pain's face has been very carefully worked on so it would be accurate, very expressive and with all the very specific details he has. Generally speaking, our X-tra by Tsume figures keep a very high level of sculpt, even parts where ones might not be as cared like toes. 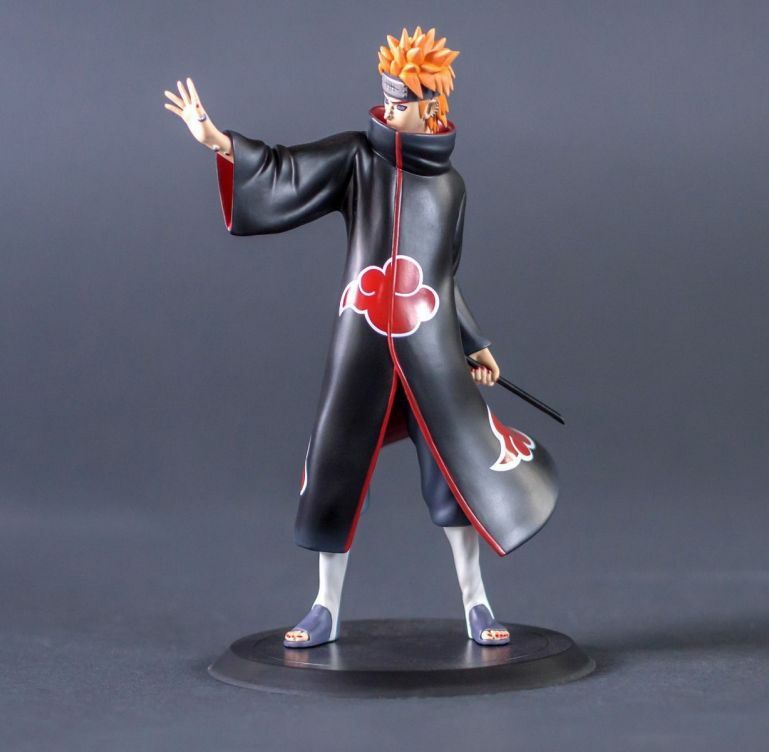 All our X-tra by Tsume figures have a sober and classy black base. 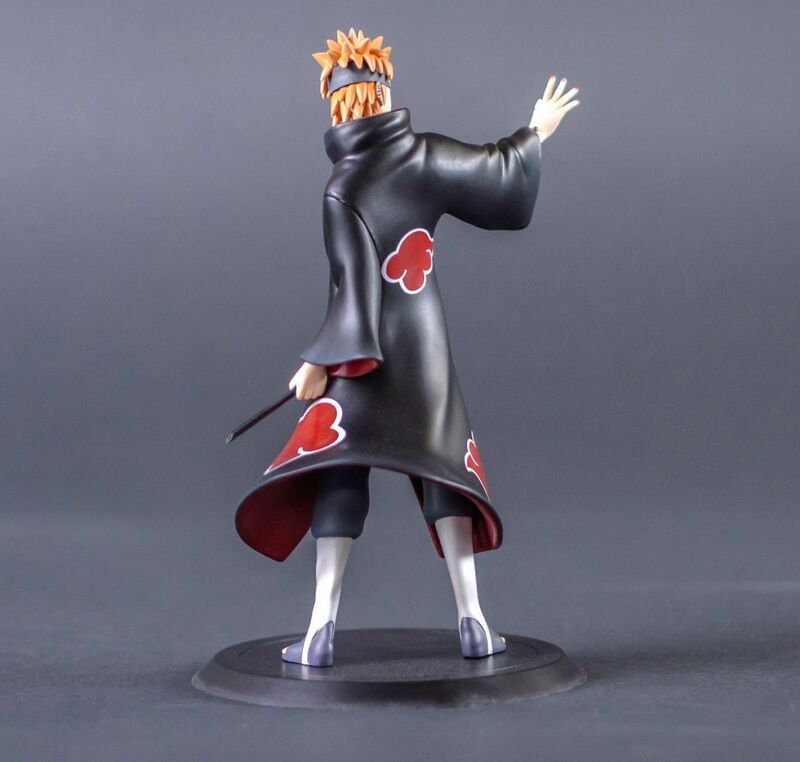 With his very neat pose, Pain will look even greater if exposed facing Naruto!